Cut edge corrosion commonly starts as edge peel at the cut edges of a metal sheet. This often occurs where sheets are sheered to length, exposing unprotected base metal. 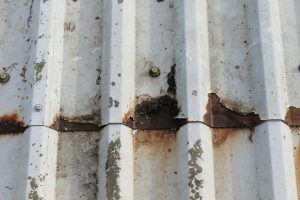 Interestingly, older generations of plastisol coatings tended to fail across the whole roof and it’s only since the development of more durable coatings with life expectancies initially of 25, now 40 years, that cut edge corrosion has been a problem in its own right. There have been numerous commissioned reports over recent years highlighting the increasing levels of environmental pollution. As a result of this pollution, contaminated rain water is held in the exposed overlap joint through capillary action and surface tension. 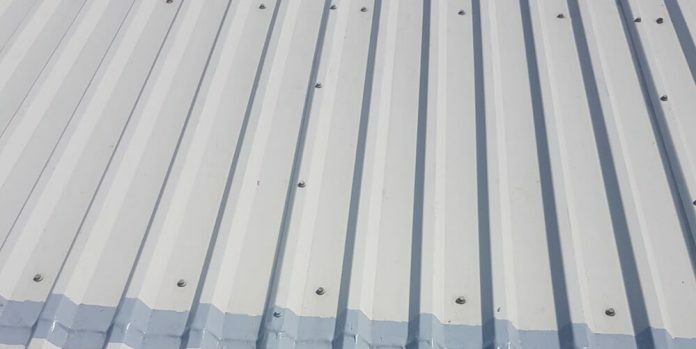 This held rainwater then penetrates the coating (PVC, Plastisol or Polyester) leeching into the protective zinc oxide layer and exposing the bare metal. As more of the zinc becomes exposed further up the substrate, the factory applied coating loses its adhesion to the steel, causing it to lift and curl. Once the bare metal is exposed top side and reverse side, corrosion occurs. A total of 48 samples of Seamsil were tested on HP200 and included salt spray, Kesternich, Prohesion and humidity. Following this intensive testing programme, Seamsil then moved to a 12 month on site evaluation, replacing the existing product being used at the time, which tended to fail after 12 – 18 months. From the testing programme it was clear that any treatment for cut edge corrosion had to perform 3 critical functions for the building owner/tenant. Stop the corrosion from getting any worse. As coatings age harden, they lose their ability to expand and contract with thermal movement of the building, leading to cracking, chalking or delamination from the surface. We see this as PVC and PVF2 factory applied coatings reach their designated re-paint decision time. Any protective system will only continue to function as specified when it remains intact and adherent to the surface. Finally, Seamsil silicone systems have excellent elastic and flexible properties to withstand normal surface movements of up to 1000% elongation, ensuring continued optimum performance in the most aggressive environments.